One boat got the best of the prestart and led up the course. At the first mark, the same boat was in front by about 50 seconds. At each subsequent mark, the same boat was ahead by 50 seconds, plus or minus ten. The same boat was ahead at the finish line by 42 seconds. The race in question was the fourth race of the 1983 America’s Cup match, in which the afterguard of Liberty, including Dennis Conner, Tom Whidden, and Halsey Herreshoff, spent all five legs of the course rolling the dice on the shifts and winning against the odds, and all the while, Aussie II in chase was going faster through the water. The Defenders put up a bravura performance, with a dash of luck. However, only the gravity of the situation made the race absorbing, and apparently you had to be pretty deep into this sailing thing or you didn’t get what was going on at all. A few days back I had the opportunity to steam down the San Joaquin River, into the Sacramento River, and on toward the San Francisco Bay as a motorboat passenger along with Harold Bennett, the Kiwi who famously was senior race officer for the America’s Cups in Valencia. High pressure was extending its reach across California, and there was no wind in the river system (not even in Honker Bay). There was no wind in San Pablo Bay, below the mouth of the river, but as we left San Pablo Bay and passed under the Richmond-San Rafael Bridge and the San Francisco skyline came into view, through the binocs I could see boats far ahead, heeling to a breeze in the wind slot. 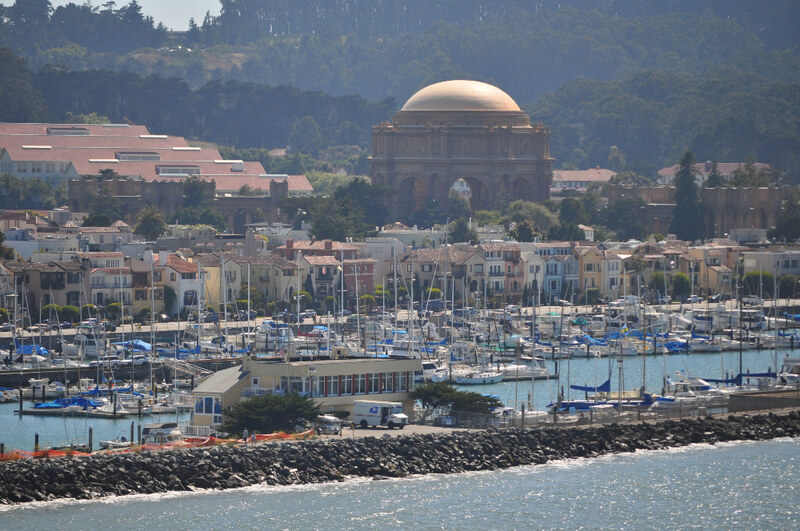 Our course led us across the outbound shipping channel—where San Francisco Bar Pilots, I confidently assume, will guide both inbound and outbound shipping whenever 2013 America’s Cup races are in progress on the cityfront. (If SF Bay is the venue.) The deepest vessels already use this channel both inbound and outbound, so we’re not upsetting anybody’s applecart. 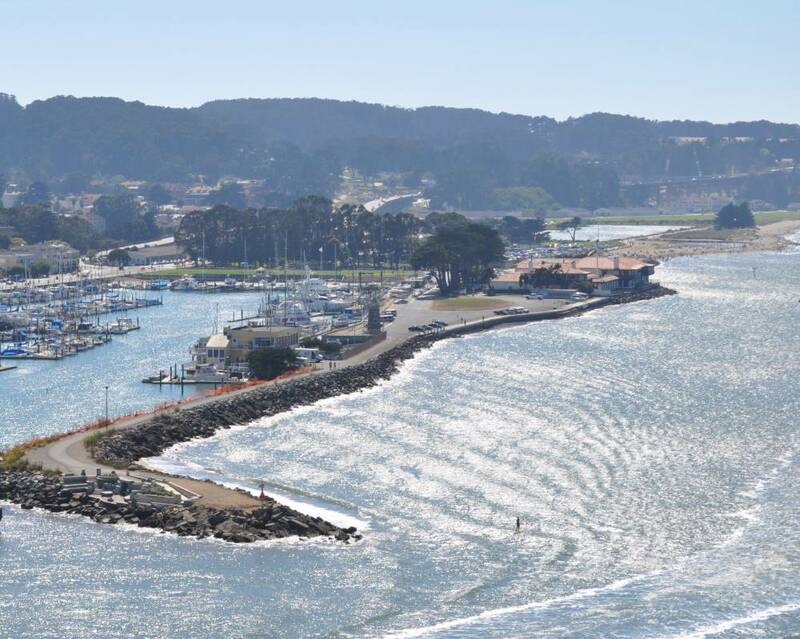 It helps make an America’s Cup possible on our restricted patch of water. When it happens, you will not have to be deep into this sailing thing to get what’s going on. But you’ll have to be a VIP to get as far out the neck as GGYC . . .
Tuesday was a big day for San Francisco’s America’s Cup Bid. The term sheet (the city’s negotiated offer to the BMW ORACLE team) was introduced to the Board of Supervisors and enjoyed strong support out of the gate – six co-authors signed on right away. The term sheet will be referred to the Board of Supervisor’s Land Use Committee and heard next Monday, October 4 at 1 p.m. at City Hall, Room 263. 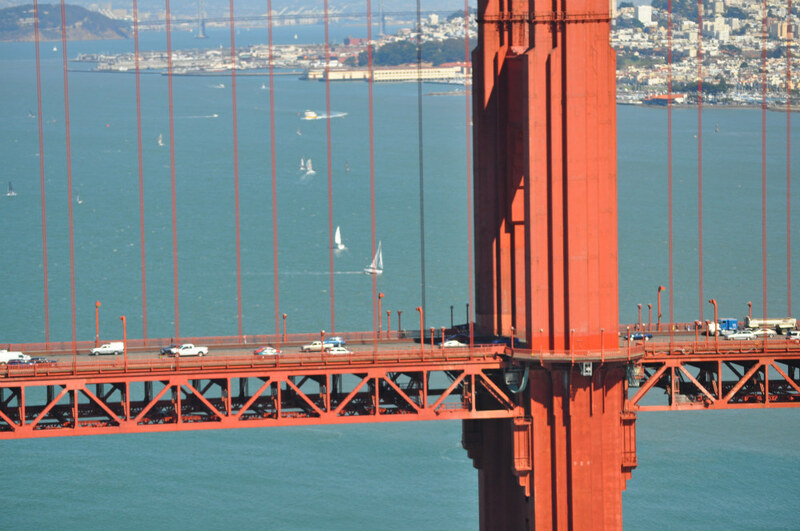 It is time to show your support for bringing the 34th America’s Cup to San Francisco Bay. Join me at the hearing, and between now and then, call, email and write the members of the Board of Supervisors to share your support. Here is a link to their contact information: SF Supervisors. The executive summary, resolution and term sheet can be read at the web site of the Mayor’s Office of Economic and Workforce Development.